Dr. Randy Turpin and guests discuss topics related to Christian life and mission. Kingdom Conversations - Episode 64: "Sent." Dr. Randy Turpin draws attention to the apostolic nature of the church. As followers of Jesus, we are all "sent ones." Kingdom Conversations - Episode 61: "How to Pray for the Lost - Part 1." Dr. Randy Turpin offers guidelines for praying for the unsaved to come to faith in Christ. Kingdom Conversations - Episode 58: "Focus." Dr. Randy Turpin shares his thoughts about focusing on things that really matter--things of eternal significance. Kingdom Conversations - Episode 56: "Listen." Dr. Randy Turpin encourages listeners to develop the spiritual practice of listening for the voice of God. Kingdom Conversations - Episode 55: "A New Vision for a New Year." Dr. Randy Turpin casts a vision for loving God with full devotion. Kingdom Conversations - Episode 54: "Should We Celebrate Christmas?" Yes! We definitely should celebrate Christmas, and Dr. Randy Turpin explains why. Kingdom Conversations - Episode 53: "Prayer and Fasting" (Part 2). Dr. Randy Turpin shares insights regarding the spiritual discipline of fasting. Kingdom Conversations - Episode 52: "Prayer and Fasting" (Part 1). Dr. Randy Turpin teaches on the spiritual discipline of fasting. Kingdom Conversations (Episode 49). Dr. Randy Turpin shares some thoughts about the power of giving thanks. Dr. Randy Turpin gives a biblical introduction to the ministry of healing. Kingdom Conversations - Episode 47: "He Sees You." Dr. Randy Turpin shares insights from John 1 concerning Jesus' love and care for people. Kingdom Conversations - Episode 46: "Keys to Miracles." Dr. Randy Turpin share two keys to miracles from John 2. Kingdom Conversations - Episode 44: A Place for God's Presence. Dr. Randy Turpin presents the characteristics of environments that attract the Spirit of God. Kingdom Conversations - Episode 43: Abounding Hope (Part 2). Dr. Randy Turpin talks about the role of hope in the victorious life. Kingdom Conversations - Episode 42: Abounding Hope (Part 1). Dr. Randy Turpin talks about the role of hope in the victorious life. Kingdom Conversations - Episode 41: The Power of One Another (Part 5). Dr. Randy Turpin concludes this series on the "one another" teachings of the New Testament. Kingdom Conversations - Episode 40: The Power of One Another (Part 4). Dr. Randy Turpin gives particular attention to the biblical instruction to encourage one another. Kingdom Conversations - Episode 37: Lordship - Part 2. Fundamental keys to the believer's victory are addressed in this teaching by Dr. Randy Turpin. Kingdom Conversations - Episode 36: Lordship - Part 1. Fundamental keys to the believer's victory are addressed in this teaching by Dr. Randy Turpin. "How to Find Your Life"
Kingdom Conversations - Episode 35 - "How to Find Your Life." Dr. Randy Turpin talks about finding one's purpose and fulfillment by living sacrificially. Kingdom Conversations - Episode 32. Dr. Randy Turpin talks about knowing God through experiential encounters with His love. Kingdom Conversations - Episode 30. In "5 Streams of Kingdom Purpose (Part 1)," Dr. Randy Turpin introduces the subject by teaching the necessity of a culture of honor. Kingdom Conversations - Episode 25. In this episode, Dr. Randy Turpin shares his current thoughts concerning a call to the reviving of our personal prayer life! Kingdom Conversations - Episode 24. From Dr. Randy Turpin's sermon archives, he has produced this important teaching on the power of testimony. Kingdom Conversations - Episode 22. Dr. Randy Turpin continues his series on the "rock solid" Christian life, giving particular emphasis to the importance of prayer. 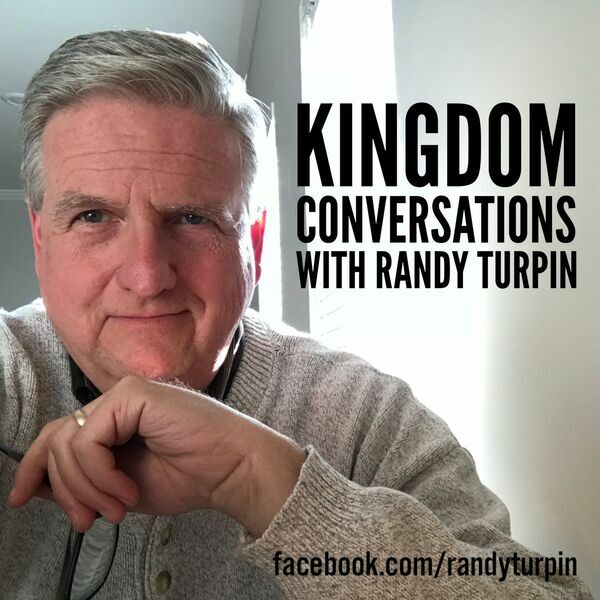 All content © 2019 Kingdom Conversations with Randy Turpin.